If you haven't heard of Gemporia, where have you been?! One of the largest independent online jewellery retails; Gemporia use genuine gemstones and precious metals to create the very best in stylish and affordable jewellery. Gemporia are all about sourcing the finest gemstones; responsibly! They work closely with The Colourful Life Foundation, to inspire greater hope and purpose for the remotest of gemstone communities, educating and supporting them so they can grow as Gemporia do. Any company that gives back to communities is a-okay in my book! Gemporia have a massive selection of jewellery to choose from, and more gemstones than you could possibly imagine! Each design has a limited run, and since no two stones are exactly the same you're guaranteed to have a very unique piece of jewellery on your neck/wrist/finger! Gemporia invite you to learn more about the gemstones they source. From Emerald to Amethyst, Labradorite to Ruby. Every page on their website gives you a fascinating insight into the stone you're thinking of buying. This month, as part of Gemporia's Fake Nothing campaign, discover the Amethyst story. Although I already have a few pieces from Gemporia (thanks, mum!) I'm always lusting after more. So I've put together a little wishlist to share with you the pieces I'm coveting most from their store right now! 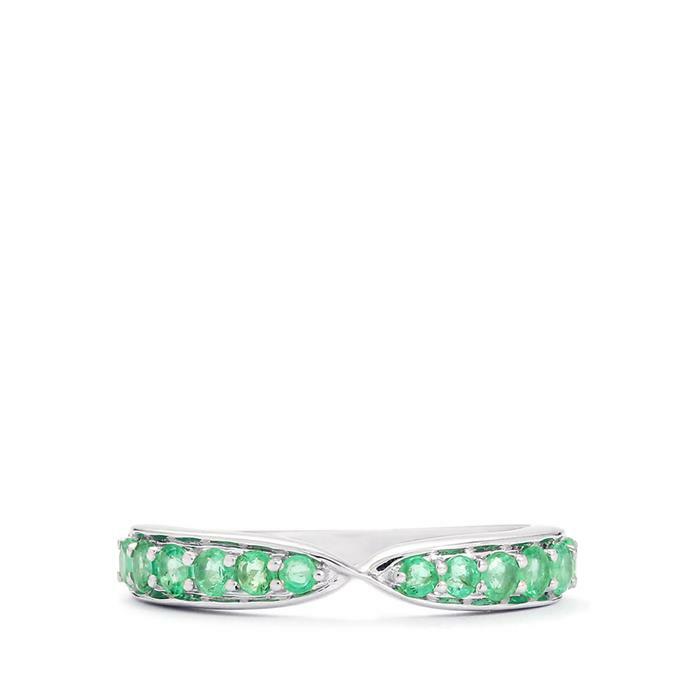 This Zambian Emerald Ring in Sterling Silver (0.69CTS) is absolutely stunning. 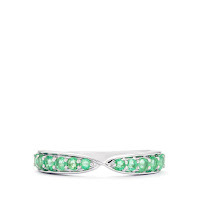 From the colour of the Emerald to the design of the ring. I'm completely smitten with this piece. £55.99. 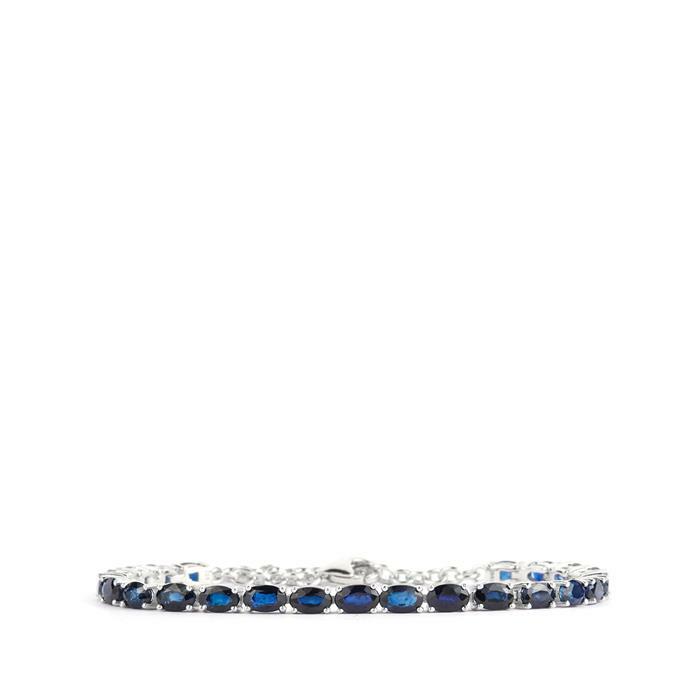 Since Sapphire is my birthstone, I figured it'd be rude not to include a few pieces featuring this gorgeous gemstone. 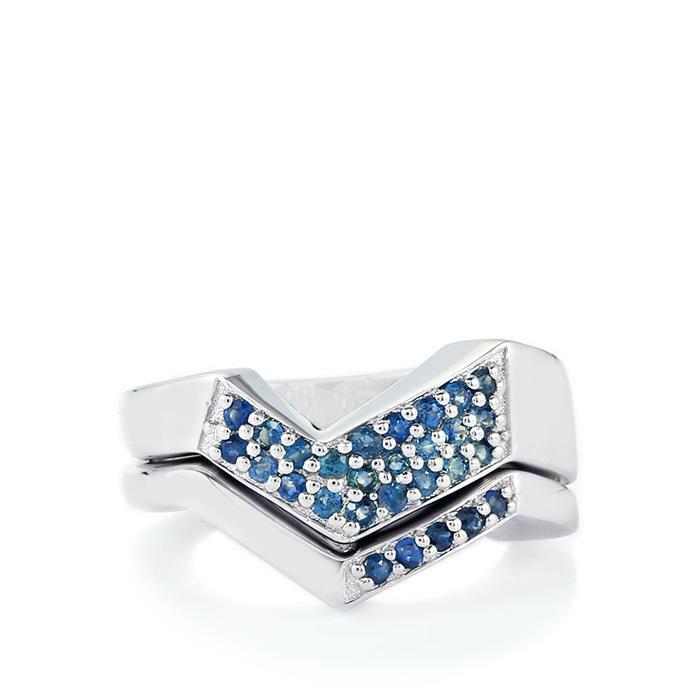 This is the Blue Sapphire Set of 2 Stacker Rings in Sterling Silver (0.61CTS.) £59.99. 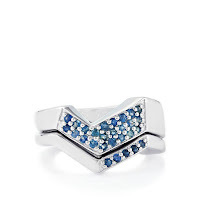 Another Sapphire piece; but how great would this look paired with the above ring?! I prefer dainty pieces of jewellery, and this bracelet is just dainty enough! 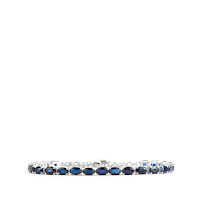 This is the Sri Lankan Sapphire Sterling Silver Bracelet (6.90CTS.) I had no idea there were so many different types of Sapphires, did you?! £143.00. How gorgeous are these Botswana Agate Sterling Silver Earrings (35.90CTS)? 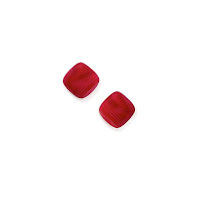 I love the colour - and I really need some new earrings! (I don't really...but you can never have enough, can you?!) £42.00. I told myself I wasn't going to include another bracelet in my wishlist but this one caught my eye. This Labradorite Bracelet with White Topaz in Gold Plated Sterling Silver (1.88CTS) is worn with the smaller ring looped over your middle finger! (You can see pictures of a model wearing this piece on the webpage!) £28.99. 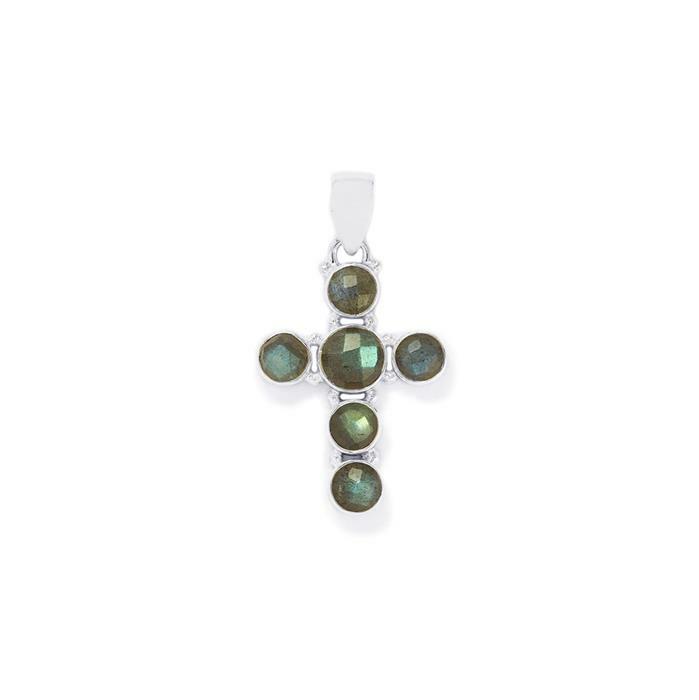 I love a good cross pendant. 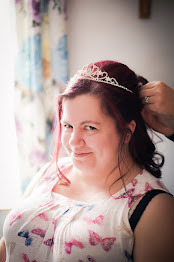 In fact, I'm currently wearing an Amethyst cross, which is one of my everyday pieces! This is a Labradorite Pendant in Sterling Silver (6.49CTS). 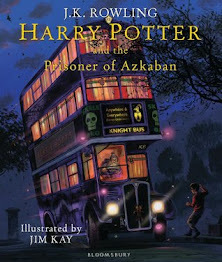 I think it's quite stunning, don't you? £36.99. By now you might have guessed that I have a bit of a thing for stacker rings. I don't own any, and they've never really caught my attention before. 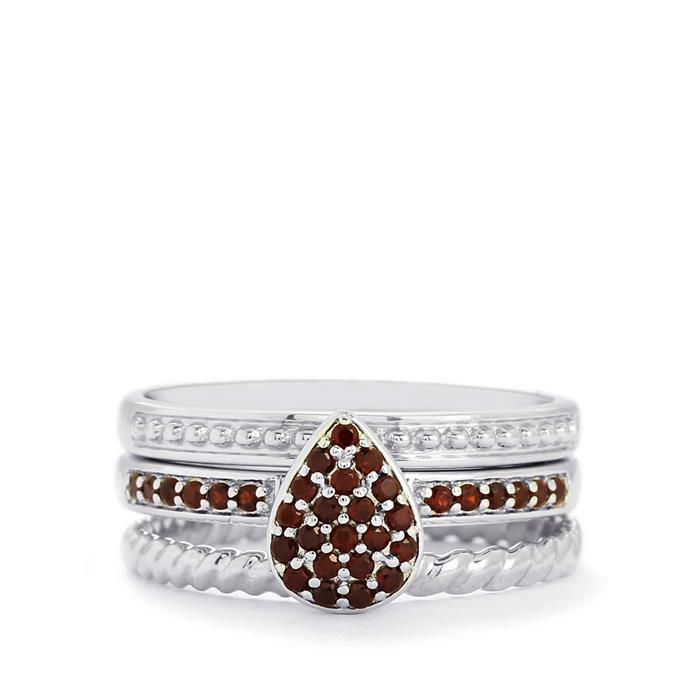 But this Red Garnet Sterling Silver Set of 3 Stacker Rings (0.41CTS) caught my eye with it's simple, yet stunning, design! £42.99. 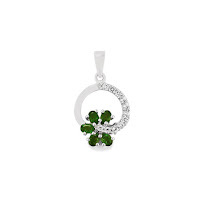 This Chrome Diopside Pendant with White Topaz in Sterling Silver (1.38CTS) is dainty and beautiful. A really spectacular piece of jewellery! £26.99. 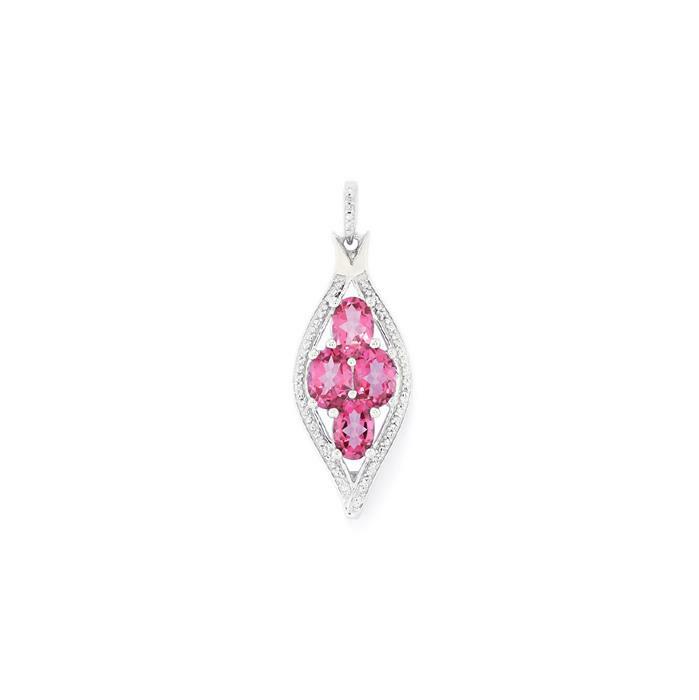 The colour of this Mystic Pink Topaz Pendant with Diamond in Sterling Silver (3.63CTS) is eye-catching. I love all things pink; so how could I not pick this gorgeous pendant?! £36.99. You guys...I've been saving the best for last! 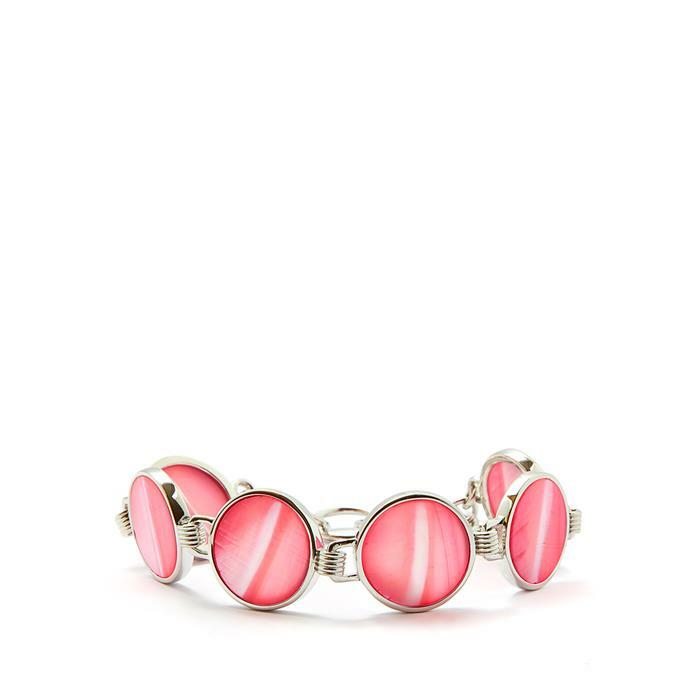 This Pink Mother of Pearl Bracelet in Sterling Silver is just perfectly me. I love the colour, I love the style; I just love it! £44.00. If you've been paying attention to the prices I've listed for each item, you'll have realised just how affordable Gemporia jewellery really is! On the website, you're able to see the RRP - so you can tell exactly how good a deal you're getting by shopping with Gemporia! 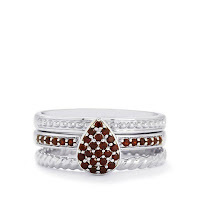 If you love a bit of bling (and, let's be honest, who doesn't?!) you need to be shopping at Gemporia. Affordable, stylish, excellent quality. Genuine gemstones and precious metals. I mean, why wouldn't you?! Do any of the pieces above catch your eye? Which item would you choose to buy on payday?